The president promises to build a tolerant country. 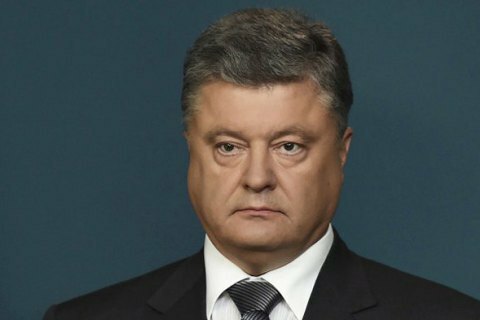 President Petro Poroshenko has said that Babyn Yar was a common tragedy for it had become the mass grave of innocent civilians of different nationalities: Jews, Ukrainian, Russian, Roma and others. “About 1.5 million Ukrainian Jews were exterminated by the Nazis. This is a quarter of all world victims of the Holocaust. In the years of the Second World War, Ukrainians have also suffered multimillion losses and we are very well aware of pain for the deceased relatives and friends that hasn’t been relieved for decades,” the presidential press service quoted him as saying at the mourning ceremony on commemoration of victims of the Babyn Yar tragedy. The president recalled that many Ukrainians had saved Jews despite threat of death penalty: “We, Ukrainians, have people to be proud of”. At the same time, he noted that there had been those to be ashamed of and it could not be erased from the national memory as well. “Collaborators have left their mark in almost all Nazi-occupied European countries, but they do not represent their people,” the President said. The head of state stressed that the scale of Holocaust could have been smaller and many Jews could have survived if the world had demonstrated proper solidarity and governments of the majority of countries hadn’t shut their doors to Jews in cold blood. “The lesson of Babyn Yar is a reminder of the terrible price of political and moral shortsightedness. This is the remembrance of the fact that condoning aggressor only inflames his appetite,” Petro Poroshenko emphasised. The President said that the tragic events of the past required education of new generations on the principles of respect for human dignity and tolerance. The president emphasised that Ukraine had formed a political nation on the basis of patriotism, challenges of past and present and faith in the common European future. This nation has brought together people of different ethnicities, languages and faiths around core values - freedom, independence, democracy, human rights. "The Jewish community side by side with other citizens of Ukraine stood firmly in defence of our common Homeland. We, Ukrainians, really appreciate and will never forget this fact," he said. The President stressed that the experience of Israel, which continues dynamic development in constant external aggression, was extremely valuable for Ukraine. And having thrown off the Nazi shackles, Germany became one of the most developed economies of the world and one of the main partners and allies of Ukraine in the struggle against the Russian aggression and implementation of reforms. “We, three nations, just as all Ukrainians, Jews and Germans, just as Europeans, have a complicated history of relations with painful past and severe injuries. Now, we demonstrate our commitment to ideals and principles of democratic and tolerant world. The world with no place for wars and genocide such as Holocaust and Holodomor. With no place for racism, intolerance, dictatorship, ethnic cleansing,” the Head of State emphasised. May peace and harmony reign forever on the earth of free Ukraine, Europe and the world,” Petro Poroshenko said. The mourning ceremony was attended by President of Hungary János Áder, President of the European Council Donald Tusk, President of Germany Joachim Gauck, US Secretary of Commerce Penny Pritzker, Deputy Speaker of the Knesset of Israel Tali Ploskov and Chief Rabbi of Ukraine Yaakov Dov Bleich.